Upon arrival, meet our representative and check in at hotel. Overnight stay at hotel. Post breakfast in the morning, full day will be utilized in the Tour of Delhi, that includes the Old Delhi, Red Fort, Jama Masjid, enjoy the cycle rickshaw ride in Chandni Chowk and shopping bazaar. Later in the afternoon, visit New Delhi, Rashtrapati Bhawan, India Gate, Qutub Minar, and Humanyun’s Tomb and the famous Lotus Temple. Overnight at hotel. Post breakfast in the morning, drive to Sariska and check in at hotel on arrival. Afternoon free for leisure. Overnight at hotel. Early morning jeep safari to Sariska Wildlife Sanctuary for wildlife viewing. After breakfast, drive to Ranthambore National Park. Check in at hotel and use the hotel recreational activity for the rest of the day. Overnight stay at resort. Jeep safari in the morning and afternoon to the National Park to explore the Flora and Fauna of the national park. Overnight stay at hotel. Post breakfast in the morning, drive to Jaipur, also known as ‘Pink City’ and check in at hotel on arrival. Visit the enchantingly beautiful City Palace, in the afternoon followed by the Hawa Mahal, Jantar Mantar. Overnight stay at hotel. 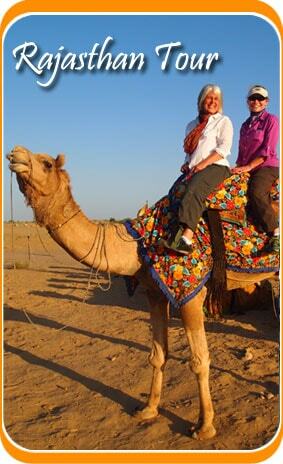 Visit Ajmer Fort after the breakfast on elephant back and later drive to Bharatpur. Check in at hotel and proceed for a rickshaw ride at Bharatpur Sanctuary for Bird Watching. Overnight at hotel. Post breakfast in the morning, rickshaw ride to the Bharatpur Bird Sanctuary for the Bird Watching. Later drive to Agra and en-route visit Fatehpur Sikri. 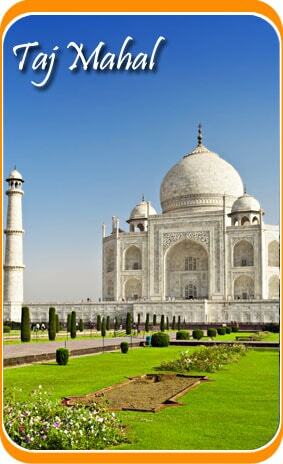 Continue the drive to Agra and check in at hotel on arrival. Overnight stay at hotel. Early morning view of Taj Mahal at sunrise. Post breakfast, visit to Agra Fort which has Pearl Mosque, Diwan-e-am, Diwan-e-Khas. Later drive back to Delhi and check in at hotel. Overnight stay at hotel. After breakfast at hotel, leave for the international airport to board the flight for the next destination.